First let’s sort out your luggage, as you don’t want that on show in a hire car or to be lugging it around with you all day. There are companies here that offer a door to door luggage service, so they will collect it from your accommodation and drop it back to you at a convenient location before you fly. The price starts at €15 for 1 to 3 items. The Centro Deportivo Fariones is situated in the heart of the resort and a 1 day entry costs €18. You have access to their changing rooms, sauna, jacuzzi, swimming pool, gym, classes and 20% discount off the tennis / padel & squash courts rental fees. The swimming pool at Marina Rubicón is open to the public from Tuesday to Sunday 10:00 – 16:00. Adults cost €5 and children under the age of 12 are €2. The pool has a lifeguard and is limited to 45 people. The aquapark in Costa Teguise is a good option for families to spend their last day, tiring the kids out so they sleep on the flight home! The park is open from April to December 10:00 – 18:00. Adults cost €22,50 and children 4-12 years old €16 for a full day. Or 16€ and 12€ respectively for a half day entry from 15:00. There is a €3 bus service available from Playa Blanca and Puerto del Carmen. The Thalasso Spa situated within the Costa Calero hotel costs €20 per adult. They are open 7 days a week from 09:00 to 20:30 for adults. Children over the age of 4 are allowed during afternoons Monday to Friday 13:00-16:00 and Saturday mornings 09:00-12:00. There’s a fabulous water circuit, gym, changing room and chill out areas both indoors and outside. 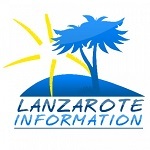 Any or all of these are made much easier if you have a hire car: Lanzarote car hire prices.